Utilizing Canada EFT Companies is the easiest and most cost effective solutions to managing Canadian ACH, allowing businesses based in Canada to debit checking accounts for one-time or recurring payments. Funds must be collected and settled in the same denomination because cross border payments are unavailable . 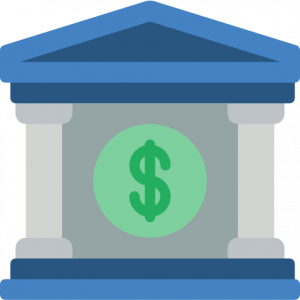 A Canadian bank account to settle funds into is a necessity for any United States based company looking to debit Canadian customers. There is a relatively low number of Canada EFT Companies compared to the number of ACH processing providers available in the United States, A small number of banks are in charge of the payments sphere, making options limited, and making it difficult to gain access to Canada EFT processing. A single system capable of managing both U.S. and Canadian e-check transactions, and reporting data for reconciliation leads to increase customer acquisition tool and more revenue. Integrate Canada EFT to automate payment collection and reconciliation processes, either as an independent application or concurrently with a U.S. ACH processing solution. Accelerate the payables process and control the timing of credits/debits to your account. Reduce employee and bank service charges. Mitigate cheque fraud and forgery risks. Efficiently manage cash flow and improve cash forecasting. Reliable, predictable cash flow makes planning much simpler and less stressful. Preserve the autonomy of your business units while ensuring centralized concentration and control of funds. Automation and systems are the key to scalable growth. Receive notification of rejected payments. Reduce lost and stolen cheques. Are there risk acceptance models available that could lower processing costs? If your market base includes Canada, does the partner provide a single API for both US ACH and Canadian EFT? Is sensitive data tokenized and can a call be made to immediately tokenize the bank account data prior to an origination? Are there opportunities to leverage the Canadian EFT Processing Integration for your apps’s revenue stream? Are there ancillary utilities available from the ACH API to make calls for anti-fraud and risk mitigation? What other payment utilities are available? API availability: Does the partner offer RESTful or SOAP Canadian ACH transaction integration, or both?